The 19th century was a time of almost incessant strife. For the United States, the century was marked by conflict, the War of 1812 at its beginning, the Mexican War in the mid-1840s, the devastating crisis of the Civil War in the 1860s, and the Spanish-American War at the end of the 1890s. In between there was little true peace as a succession of border disputes and Native American wars marked the country’s westward progress. In addition, Europe was shaken by a series of revolutions and counter-revolutions as developing nation states struggled to define themselves and expand their boundaries. Imperialist ambitions led to conflicts throughout the world. Troubled times such as these often gave rise to peace movements, and the 19th century was no exception. Elihu Burritt, the “Learned Blacksmith” of New Britain, Connecticut, was one of those who believed that nations should—and could—coexist in peace and harmony. Elihu Burritt was born in New Britain in 1810 and as young man worked as a blacksmith. He taught himself mathematics while laboring at the forge and later mastered a large number of foreign languages, including French, Spanish, German, Italian, Hebrew, Chaldaic, Samarian, Ethiopic, and several Asian languages. He became a popular and influential author and lecturer, writing and speaking on education, abolition, temperance, and universal peace. During the 1840s, when a disagreement over the boundary of the Oregon Territory threatened to lead to war between the United States and Great Britain, Burritt worked to establish goodwill, sending out slips of paper known as “olive leaves” containing brief essays promoting the cause of peace which were published in newspapers in both countries. In 1846 Burritt sailed to England, where he continued his pacifist efforts, meeting with friends in Birmingham, Manchester, and London, and establishing the “League of Universal Brotherhood” to work for the abolition of war and the encouragement of friendship between nations. He helped to organize an International Peace Congress in Brussels in 1848, at a time when violent and bloody revolutions took place throughout Europe. By the time Burritt returned home, the issue of slavery threatened to divide the United States. Burritt was and always had been a staunch abolitionist, who hated slavery as much as he hated war. He proposed a plan of compensated emancipation, in which money from the sale of public lands compensated slave owners for their emancipated slaves and assisted former slaves in starting their new lives as free men. The plan received some support in border states such as Missouri and Delaware, and it was enthusiastically endorsed by Connecticut’s State Emancipation Commission in 1859. At the outbreak of the Civil War, the sons of Burritt’s neighbors rushed off to enlist in the Union army. Because of his opposition to the war, Burritt was seen by some as a southern sympathizer, but he remained a patriot as well as a pacifist. In 1864, Abraham Lincoln appointed him American consul to Birmingham. Although Burritt always claimed that anyone could equal his achievements through dedication and hard work, few people at any time in history possessed his sheer intelligence, his thirst for knowledge, and his determination to do good. His dream of international cooperation would be resurrected in the 20th century, with the design of both the League of Nations and the United Nations, but universal peace and brotherhood remained elusive goals, just as they were in Burritt’s day. 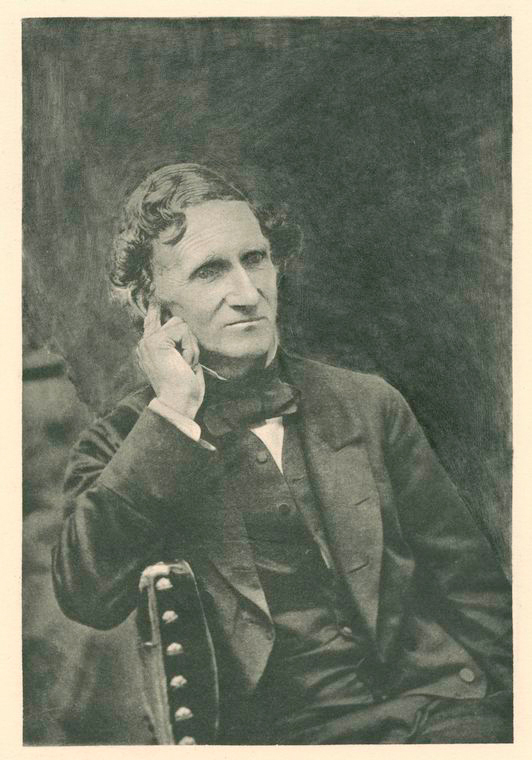 “Biography - Elihu Burritt 1810-1879.” Central Connecticut State University, Elihu Burritt Library, 2016. Link. “Elihu Burritt Library.” Central Connecticut State University, 2016. Link. “Elihu Burritt Collection, 1810-1879.” Central Connecticut State University, Elihu Burritt Library, 2016. Link. Burritt, Elihu. “Elihu Burritt to Abraham Lincoln, Monday, June 02, 1862 (Confiscation Bill),” June 2, 1862. Library of Congress, American Memory, Abraham Lincoln Papers. Link. Burritt, Elihu. “Ocean Penny Postage.” Library of Congress. Accessed January 3, 2017. Link. Burritt, Elihu. A Journal of a Visit of Three Days to Skibbereen, and Its Neighbourhood. London: C. Gilpin, 1847. 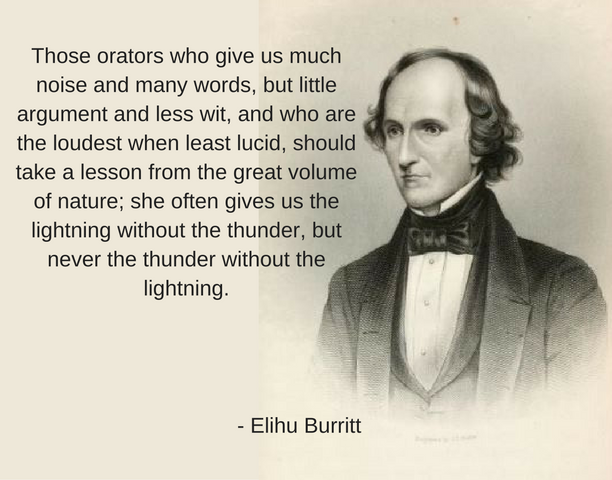 Burritt, Elihu. A Plan of Brotherly Copartnership of the North and South, for the Peaceful Extinction of Slavery. New York, NY: Dayton and Burdick, 1856. Link. Northend, Charles. Elihu Burritt; a Memorial Volume Containing a Sketch of His Life and Labors. New York, NY: D. Appleton & Company, 1879. Link. Ozora Stearns Davis. Elihu Burritt: An Apostle of International Brotherhood. New Britain, CT, 1907. Link. Curti, Merle. The Learned Blacksmith; the Letters and Journals of Elihu Burritt. New York, NY: Wilson-Erickson, Inc., 1937.